Location: East of Blea Beck, 140 metres west of the wall corner between Rather Standard Size and Grove Rigg, lying flat. This stone probably marks the south-east corner of the 10 meers lease held by John Alcock and Co. as shown on the Brailsford 1781 survey. See also Meer Stone 10. 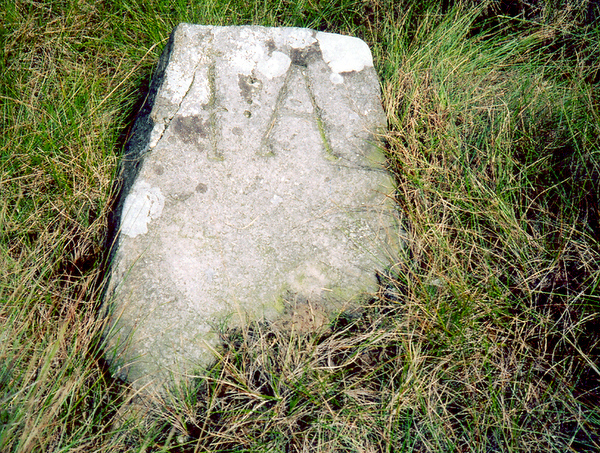 Note that the 'J' is often found inscribed as '|'.